The fruit and advantages of fasting can easily be proved. And first; fasting is most useful in preparing the soul for prayer, and the contemplation of divine things, as the angel Raphael saith: "Prayer is good with fasting." Thus Moses for forty days prepared his soul by fasting, before he presumed to speak with God: so Elias fasted forty days, that thus he might be able, as far as human nature would permit, to hold converse with God: so Daniel, by a fast of three weeks, was prepared for receiving the revelations of God: so the Church has appointed "fasts" on the vigil of great festivals, that Christians might be more fit for celebrating the divine solemnities. 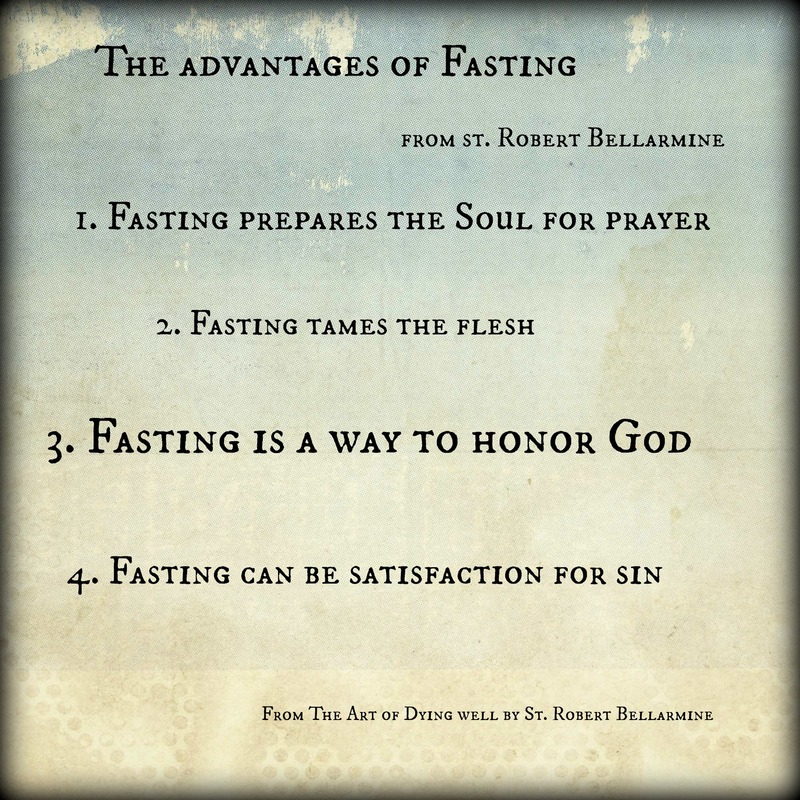 The holy fathers also everywhere speak of the utility of fasting. (See St. Athanasius, Lib. de Virginitate St. Basil, de Jejunio. St. Ambrose, de Elia et Jejunio. St. Bernard, in sermone de Vigilia Santi Andræ., &c.) I cannot forbear quoting the words of St. Chrysostom (Homily in Genesis): "Fasting is the support of our soul: it gives us wings to ascend on high, and to enjoy the highest contemplation. !